At the close of the twentieth century, corporate capitalism extended its reach over the globe. While its defenders argue that globalization is the only way forward for modern, democratic societies, the spread of this system is failing to meet even the most basic needs of billions of individuals around the world. Moreover, the entrenchment of this free market system is undermining the foundations of healthy societies, caring communities, and personal wellbeing. 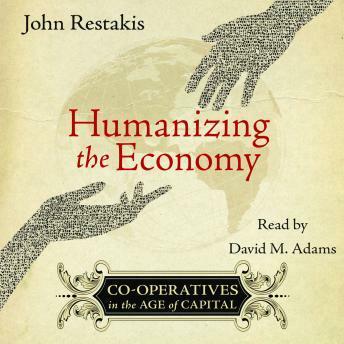 HUMANIZING THE ECONOMY shows how co-operative models for economic and social development can create a more equitable, just, and humane future. With over 800 million members in 85 countries and a long history linking economics to social values, the co-operative movement is the most powerful grassroots movement in the world. Its future as an alternative to corporate capitalism is explored through a wide range of real-world examples including: - Emilia Romagna's co-operative economy in Northern Italy; - Argentina's recovered factory movement; - Japan's consumer and health co-operatives. Highlighting the hopes and struggles of everyday people seeking to make their world a better place, Humanizing the Economy is essential reading for anyone who cares about the reform of economics, globalization, and social justice.